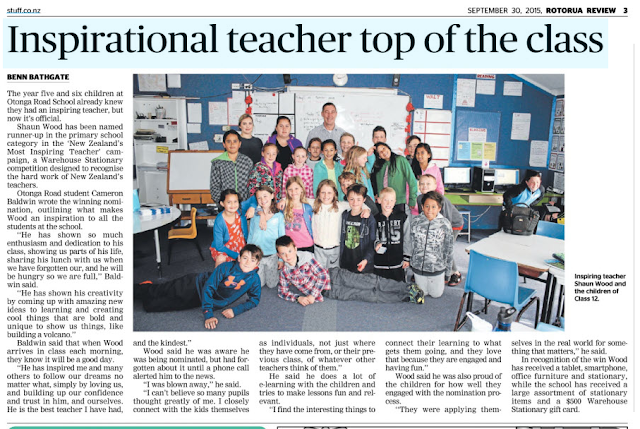 The most inspiring teacher competition run by The Warehouse Stationery is a competition to find the most in inspiring teachers in New Zealand. This award is to show who is the most inspiring teacher for that year. 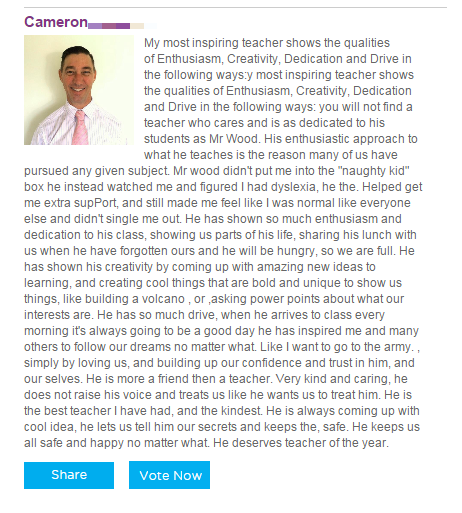 Children can nominate and vote for any teacher of their choice for the most inspiring teacher award of the year, how cool is that! Mr Wood was nominated by Cameron in his class. Cameron’s mother saw the advertisement for the competition then she told Cameron. So Cameron entered his teacher Mr Wood in the most inspiring teacher award for 2015 to see if he could win some amazing prizes for Mr Wood; and because he believed Mr Wood was a special teacher who had helped him. Most of the class practically helped vote for Mr Wood. Cameron showed his skill at persuasion and was always encouraging others to vote for Mr Wood and to leave reasons why. Within the first day three quarters of our class had voted for Mr Wood. We got near about 101 votes! 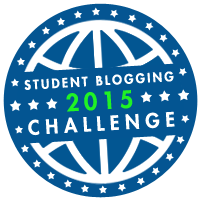 It was really cool when Mr Wood told us that he had won second place. Cameron as well as the whole class was so happy when we found out. It was a proud day for Room 12 at Otonga Primary School Rotorua. Mr Wood and the school won lots of prizes and classroom stationery from The Warehouse Stationery. Written by: Cameron, Lulu, Max, Cullen and Carys. Congratulations Mr Wood rm 12 is so happy to have you as our amazing teacher and will miss you so much when we soon have to leave in term 4. Also nice writing Cameron did you get any help with the writing? Cameron really did put a lot of effort into this and Mr wood really deserved to get 2nd place well done. wow that was really touching i loved it so much.Mr Wood really does deserve the teacher of th year award. Cameron really did put a lot of effort into MR Woods explanation congratulations to you both. Thanks Mr Wood you are the best teacher that is why I nominated you thank you for helping me and the class : ) like you helped me write this thanks. Congratulations Mr Wood . We are so happy because now we get to have pizza for lunch. Also Cameron thank for nominating Mr Wood for most inspiring teacher. Congratulations Mr Wood you really are the most inspiring teacher. Mr Wood puts a lot of effort in teaching the students in his class. Well Done Cameron for writing such an amazing comment for Mr Wood. Well done Mr Wood, you deserved it since you are such a great teacher to all of us and Cameron he was the one who entered Mr Wood so thank you Cameron! Thanks for being a great teacher Mr Wood. You really did earn that. Cameron you are a very good convener, you convent the class to vote for Mr Wood. Well done you to.